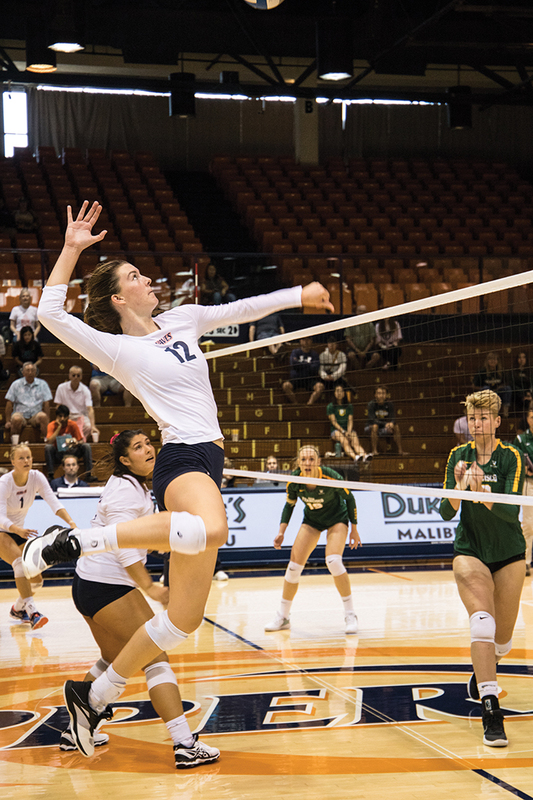 Pepperdine defeated the University of San Francisco at Firestone Fieldhouse on Saturday for the second time this season. Redshirt junior Tarah Wylie led the Waves with 10 kills and senior Heidi Dyer was right behind her with nine. Pepperdine’s win was their second of the season against San Francisco, who moved to 8-15 with the loss. 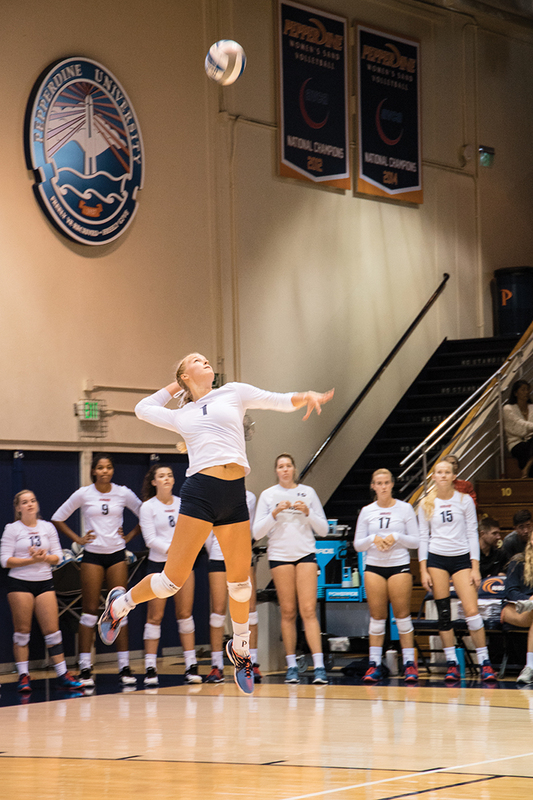 The Waves improved to 15-7 overall and remained third in the West Coast Conference, behind Brigham Young University and the University of San Diego. The Waves’ dominating victory shows their improvement throughout the season and bodes well for the future. Pepperdine’s largest margin of victory came in the first set. The Waves went back and forth with the Dons at the start, but took control of the match after they got a 7-6 lead. San Francisco called two timeouts to try to change the tide but never got the lead back, losing the set 25-15. The first set was the most productive for Dyer, who had five kills. The second set was a much closer affair. The Waves took a 5-4 lead early, then went on a 5-1 scoring streak before San Francisco took a timeout. Then the Dons went on a 10-5 scoring streak, tying the game at 15. Pepperdine took the lead again with a 4-0 streak, but San Francisco tied it back up at 22-22. The Waves scored the last three points and won the set, 25-22. Pepperdine controlled the third set the same way they controlled the first. With the score tied at 4-4, the Waves went on a 14-5 run to earn a 9-point lead. San Francisco scored four points in a row to close the gap to 18-13, but Pepperdine closed out the set with a 7-4 run and won 25-17. This was the Waves’ ninth 3-0 win of the season. The victory was also the ninth conference win for Pepperdine, which puts them one win behind San Diego and two wins ahead of Saint Mary’s, who they play Thursday. 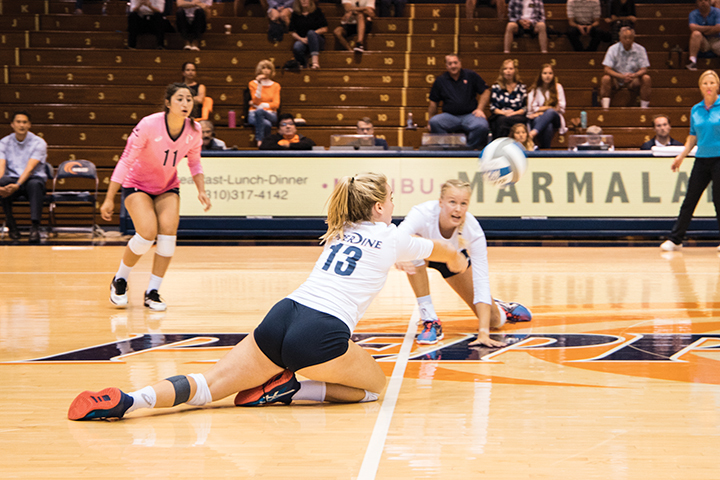 Pepperdine knows they need to continue to improve the rest of the season, but their play Saturday looked promising. Wylie agreed with her head coach’s assessment of the team’s performance. The Waves return to Firestone Fieldhouse Nov. 6 at 6:00 p.m. to take on the University of Hawaii. Follow Kyle McCabe on Twitter @kyledotmccabe.